Do you have a property you want to sell or rent? List it with us for FREE. We provide you more exposure than any other company. A great selection of apartments for rent in Juffair is available for property searchers looking for an exquisite location to live in Bahrain. Juffair is one of the most coveted areas for Bahrain residents, most of the displayed properties in Juffair are apartments, it teems with many high rise apartment buildings featuring modern designs. Moreover, the area has many entertainment and shopping destinations like Juffair Mall and Al Raya Mall. 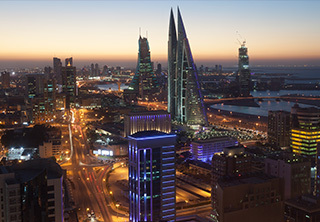 Juffair lies in a central location in Manama, it has direct access to Prince Khalifa bin Salman Causeway which leads to Al Muharraq and Sheikh Isa bin Salman Highway which connects it to many areas around Bahrain like Tubli, Sanad, Sitra, Isa Town, and Zinj. Most of Juffair lands are sea reclaimed, the district witnessed an intense development and construction activity during the last couples of years which resulted in building many mixed-use towers, hotels, and retail centers in the area. Population in Juffair is mainly composed of young professional expats and foreign families who prefer it more than any other location in the kingdom due to the several amenities and facilities available. The displayed flats for rent in Juffair vary in size, location, type, and quality. They vary between studios, one-bedroom, two-bedroom, three-bedroom, and four-bedroom apartments in order to suit all requirements from single professionals to small and large families. Most of the apartments in Juffair offer splendid views of Juffair skyline and the sea, they are also attached to a wide set of amenities including swimming pool, sauna, steam bath, fitness gym, and many other. Residents of Juffair apartments will find total satisfaction in its various amenities and high living standards offered in nearly all its residential units. The area abounds with fancy restaurants, cafes, and other entertainment destinations. It also has a number of schools and health centers. Al Shabab Avenue, or as popularly known as American Alley, is absolutely the busiest in Juffair as it buzzes with life 24 hours a day. The alley is packed with restaurants featuring American and Mexican cuisines along with many retail centers and cafes. How to find apartments for rent in Juffair? The average rental price of a studio for rent in Juffair is BHD 350 per month, while prices of two-bedroom apartments for rent start from BHD 500. Weetas has a lot of options ranging from affluent to cheap flats displayed for searchers to choose from. Either looking for a small and cosy fully furnished apartment or a large 4-bedroom penthouse to fit your family’s requirements, you will definitely find what you need between the assortment. When looking for apartments for rent in Juffair, users can rearrange the property list in ascending or descending order according to size, price, and date of publishing. The list is curated and organized to make the searching process very simple for users. Each apartment displayed on Weetas has a set of high-quality images in addition to its location on a map and a list of its specifications. Users can find apartments located in many developments in Juffair like Saray Tower, Juffair Heights, Fontana Towers, and many other. The process of renting an apartment in Juffair is very easy, the tenant should only submit his personal official papers in order to sign the renting contract. Once the contract is signed and the advance payment is paid, the customer will be eligible to move to his new apartment.